Mike Sammons started with fire service in 1992 while in high school at the age of 18 with Pierce County Fire District #16 on the Key Peninsula. He served eight years with them as a Resident Firefighter with 4 of those years serving as a Lieutenant. 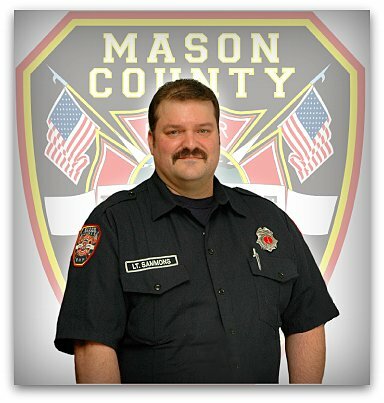 Mike Moved to Belfair in 2003 where he joined Mason County Fire District 2. Mike took a 3-year leave of absence while starting his new family and came back in 2007. Mike attended a fire academy in Shelton to get back up to speed with his skills. Mike was promoted to Volunteer Lieutenant January 1st of 2010. Mike is an academy instructor for the Mason County and the Kitsap County Volunteer Fire Academies. He assists the District Fire Marshal with annual inspections and with fire investigations. Mike lives down the north shore of Belfair with his wife and two kids.